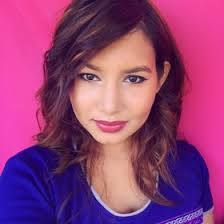 Sonal Sagaraya is a beauty & lifestyle vlogger and YouTube star born in Guyana. Sonal is famous for her YouTube channel “sonalsagaraya“, where she posts about all things beauty, has over 87k subscribers and growing. Besides that, she is also active in Facebook, Instagram and Twitter. Born on October 6, 1990 in Guyana, Sonal started her YouTube channel in June 2010. She is with the height 5 feet 3 inches in tall. She wears a size 7.5 shoe and her zodiac sign is Libra. *She was born on October 6, 1990 in Guyana. *She began her YouTube channel in June of 2010.